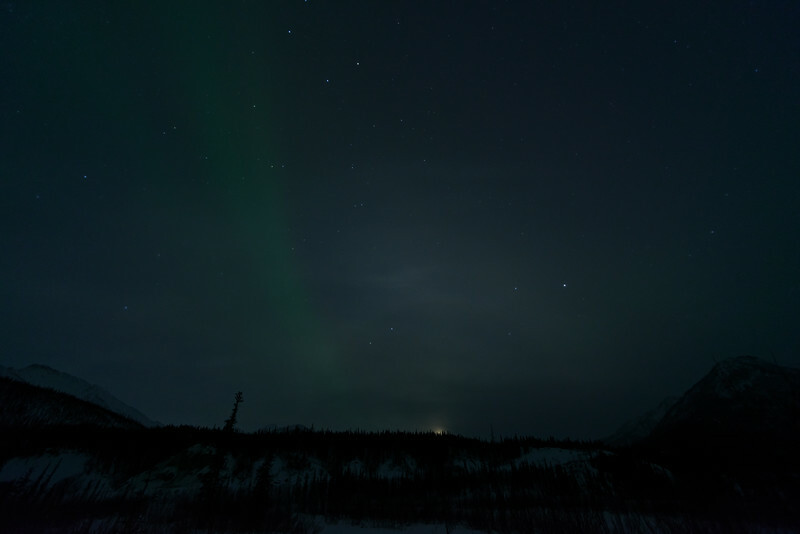 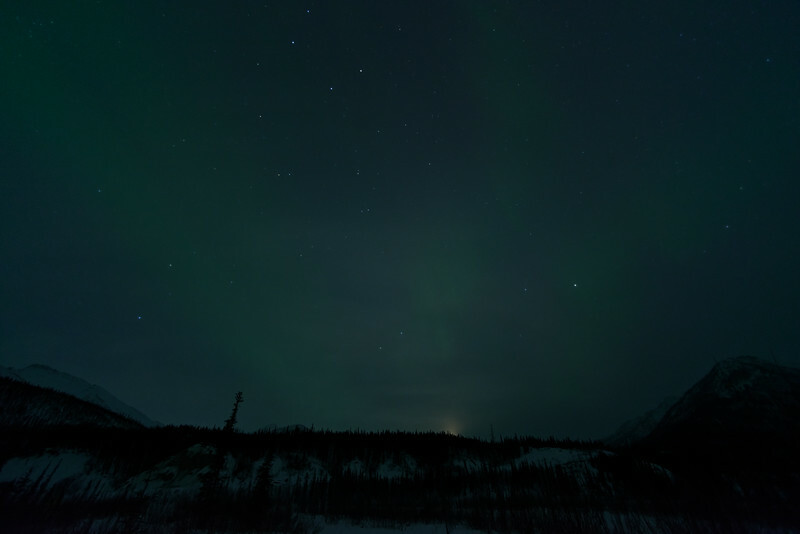 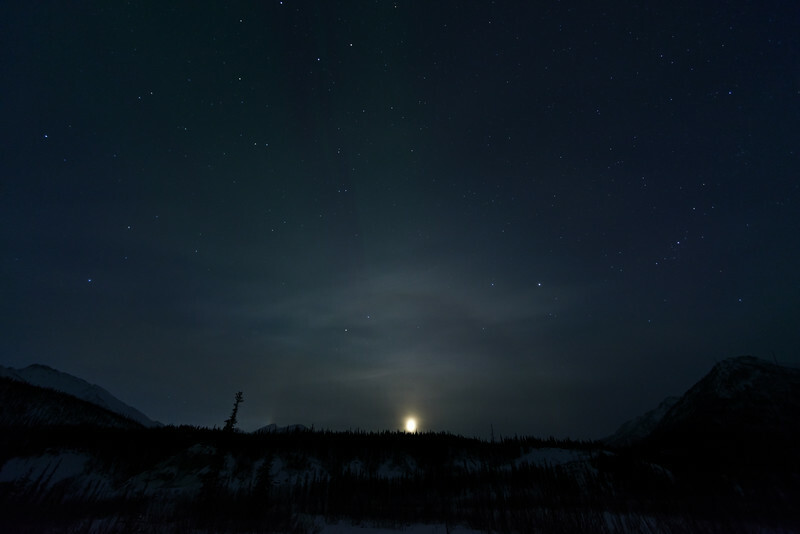 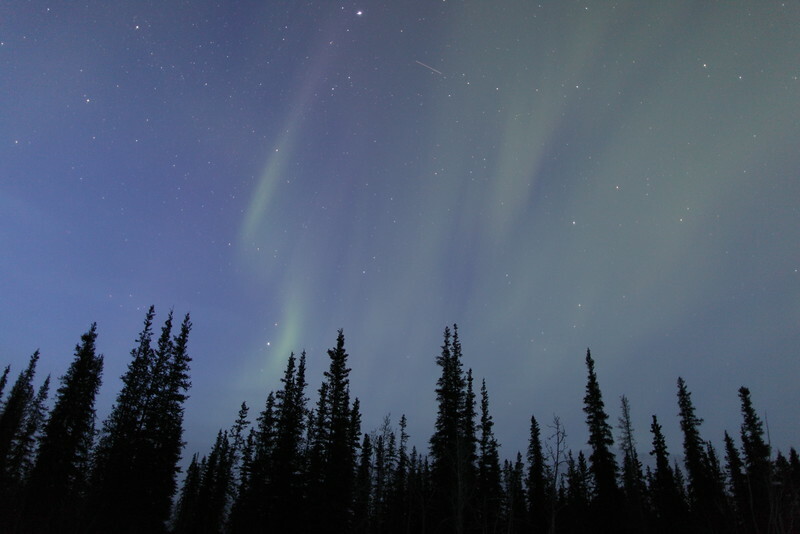 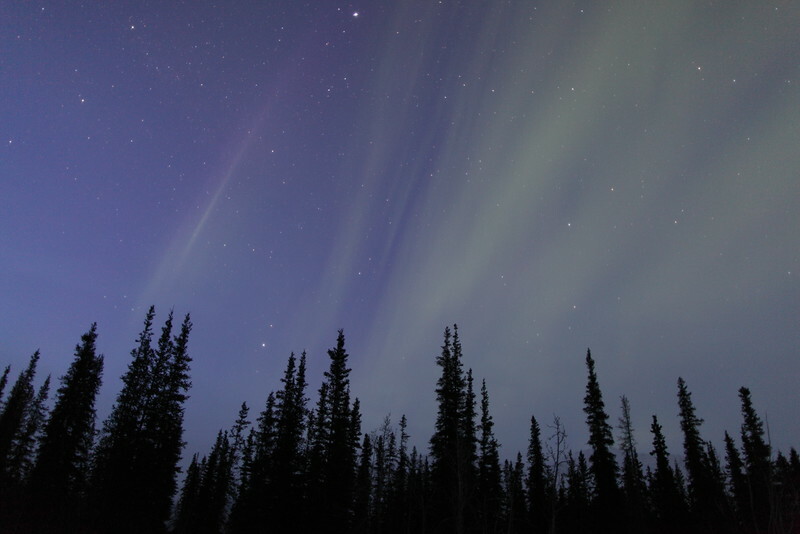 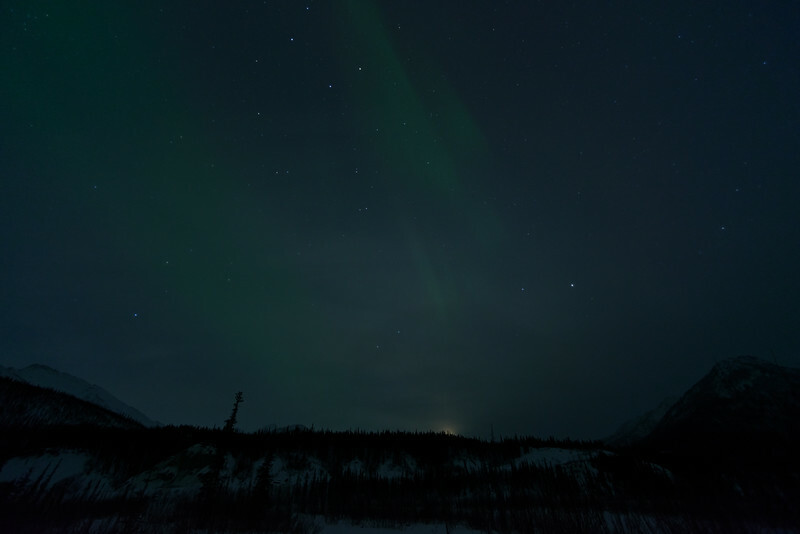 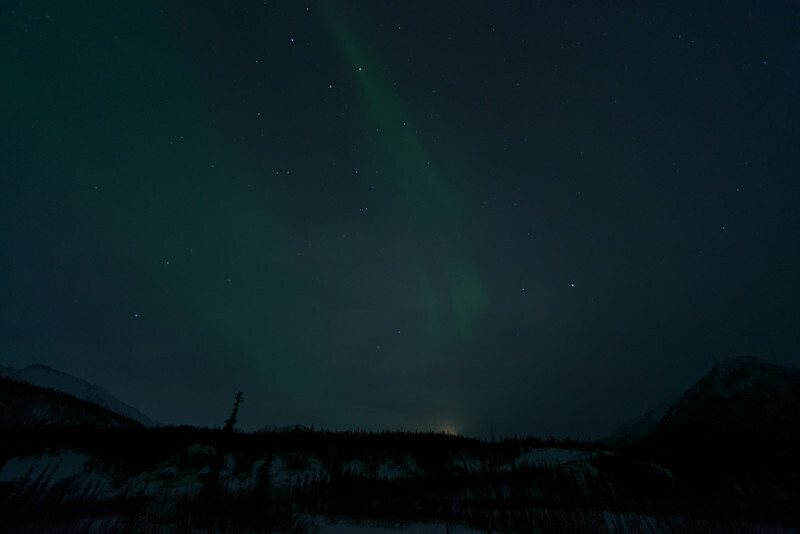 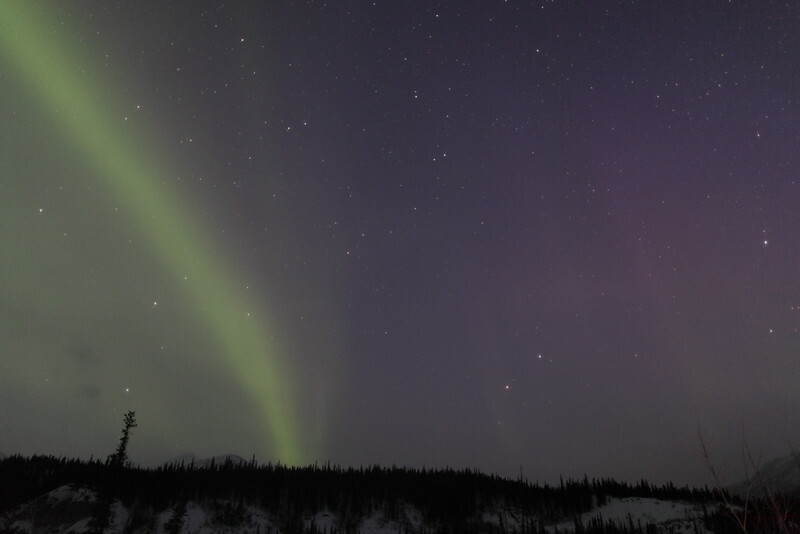 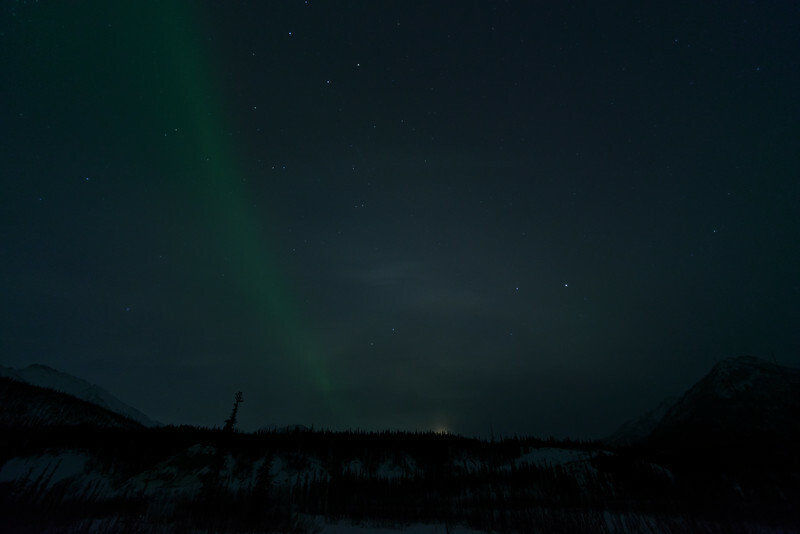 The 22° Moon halo with slowly increasing auroral activity was captured at Koyukuk river in Wiseman, Alaska early on March 20, 2013. 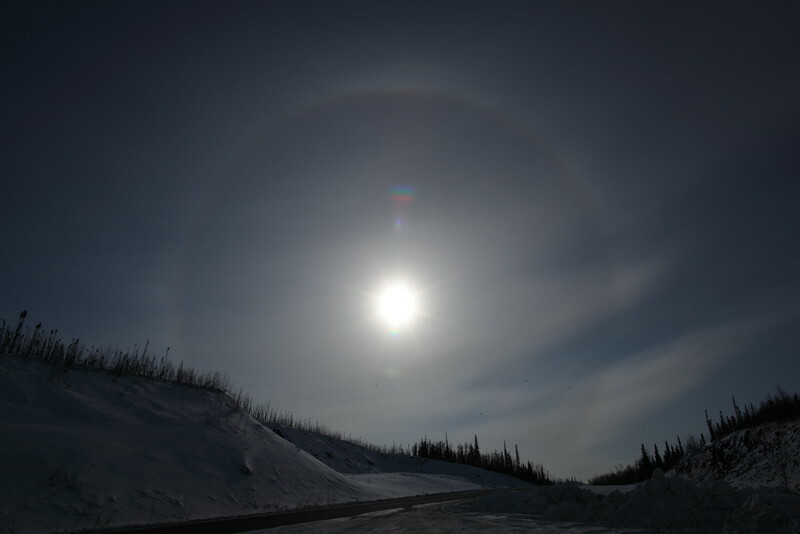 Lunar halos as well as Moon dogs are caused by atmospheric optics - a refraction in high altitude ice crystals of cirrus or cirrostratus clouds. Moon dogs are relatively rare round spots on a lunar halo appearing 22° to either side of the Moon and are much rarer than Sun dogs. 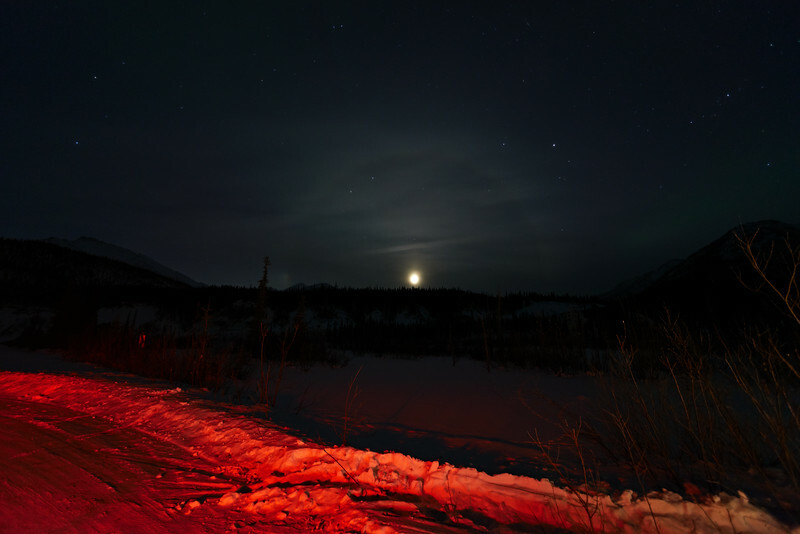 The Moon must usually be very bright (during or near Full Moon) in order to produce Moon dogs, so I was very surprised by the appearance of one specimen (7 days before Full Moon) just as I was leaving the Wiseman village around 03:45 AM with the plan on heading South. 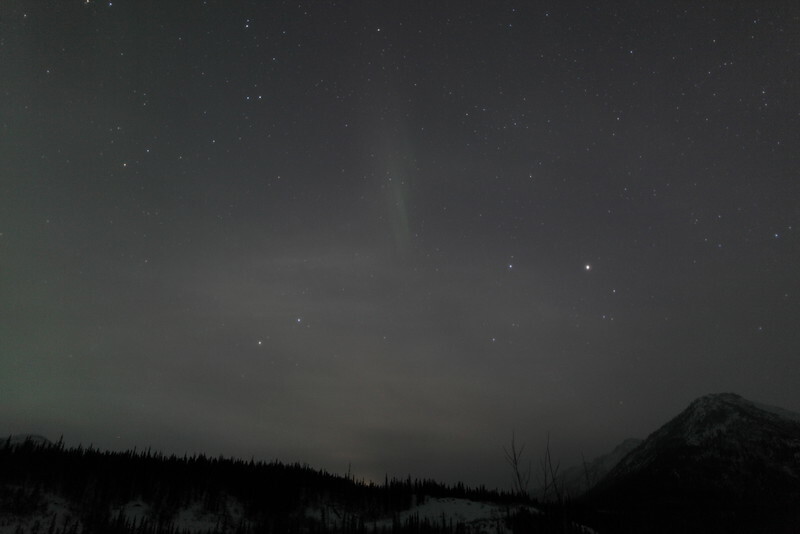 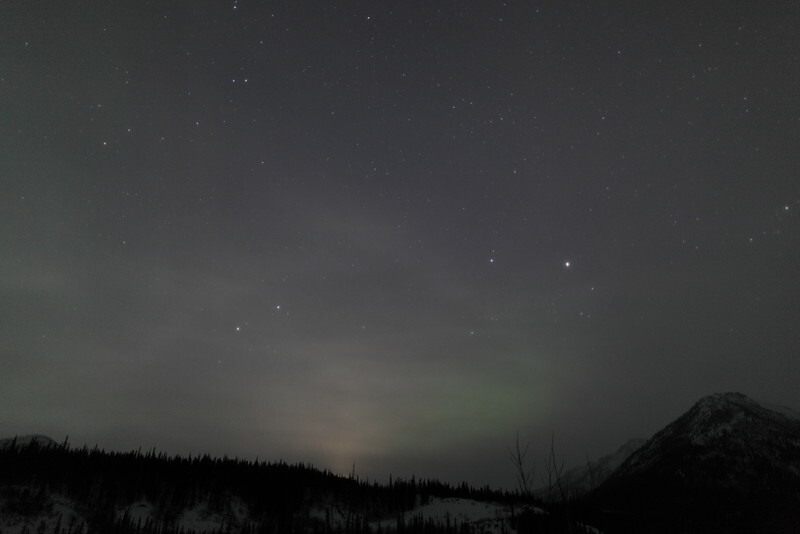 Needless to say that my departure from the Brooks Range was postponed as I was going to capture a Moon Halo with Moon dog and developing auroral display during the morning twilight hours. 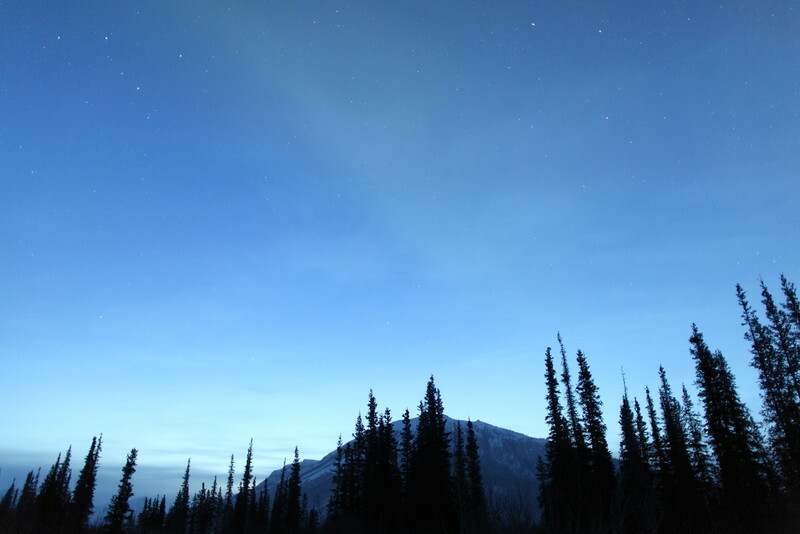 The Wiseman Village is located within Alaska's Brooks Range at latitude 67.4 and longitude -150.1. 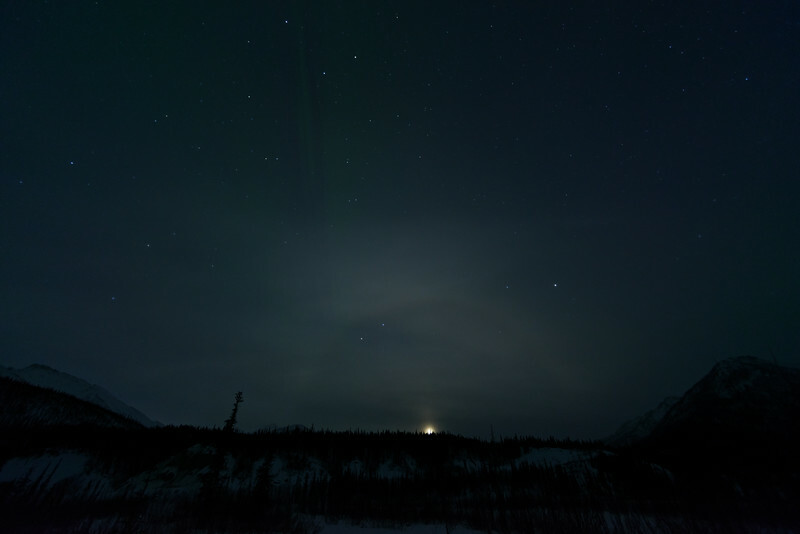 Moon dogs as well as the red color spectrum of the aurora usually show very little color to the unaided eye since the light is not bright enough to activate the cone cells of humans' eyes.